Product prices and availability are accurate as of 2019-04-21 22:47:58 BST and are subject to change. Any price and availability information displayed on http://www.amazon.co.uk/ at the time of purchase will apply to the purchase of this product. 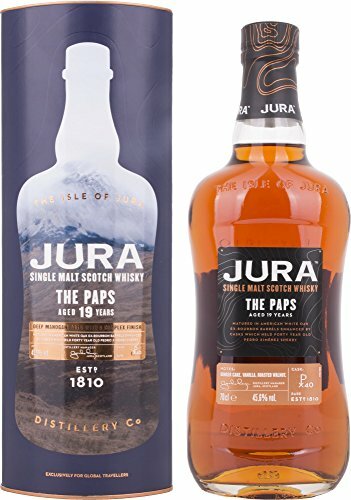 "70cl / 45.6% - From the Isle of Jura range of whiskies originally released for the Travel Retail market comes a 19 year old single malt named after the famous Paps of Jura on the western side of the island. 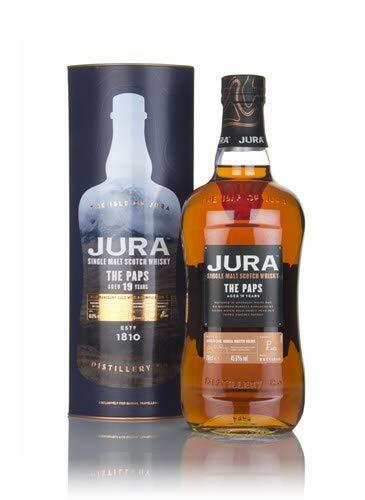 It was allowed a finishing period in casks that were previously home to 40 year old Pedro Ximenez sherry."